Made from toasted cashew nuts with a little added cold-pressed sunflower oil, no added salt. Delicious as a bread spread, in sauces, dressings, nut-milk, dips and baking. In our all organic factory we are proud never to use refined oils, palm fat emulsifiers or anything artificial in any product. Milled from freshly roasted cashews with added cold-pressed oil. A great natural source of protein. We are very careful to avoid any risk of cross contamination. We also process soya, mustard, sesame and peanuts. Refrigerate after opening and eat within three months. Organic cashews can naturally contain nut crop fragments etc. We check and remove during production but cannot guarantee to have found every piece. Natural nutritious oil may separate on the surface, just stir back in. Delicately sweet yet crunchy and delicious cashew nut packed with energy, antioxidants, minerals and vitamins that are essential for robust health. Cashew, or “caju” in Portuguese, is one of the popular ingredients in sweet as well savoury dishes worldwide. 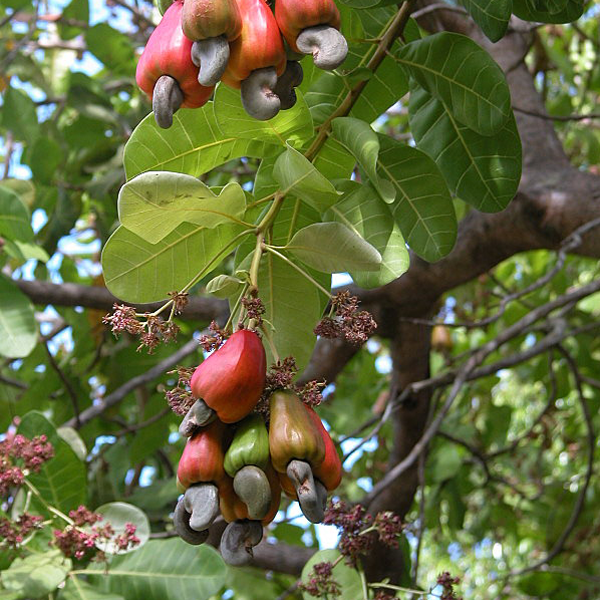 The cashew tree is native to the Brazil’s Amazon rain forest. It spread all over the planet by Portuguese explorers and today; it is cultivated on a commercial scale in Brazil, Vietnam, India, and many African countries. Cashew nut measures about an inch in length, 1/2 inches in diameter, and kidney or bean shape, with a smooth surface and smooth curvy pointed tip. Each nut splits into two halves as in legumes. The cream white kernel features firm yet crunchy texture and sweet, buttery flavour. Cashews are high in calories. 100 g of nuts provide 553 calories. They packed with soluble dietary fibre, vitamins, minerals and numerous health-promoting phytochemicals that help protect from diseases and cancers. They are rich in “heart-friendly” monounsaturated fatty acids like oleic, and palmitoleic acids. These essential fatty acids help lower harmful LDL-cholesterol while increasing good HDL cholesterol in the blood. Research studies suggest that the Mediterranean diet which is rich in monounsaturated fatty acids contribute to preventing coronary artery disease and strokes by favouring healthy blood lipid profile. 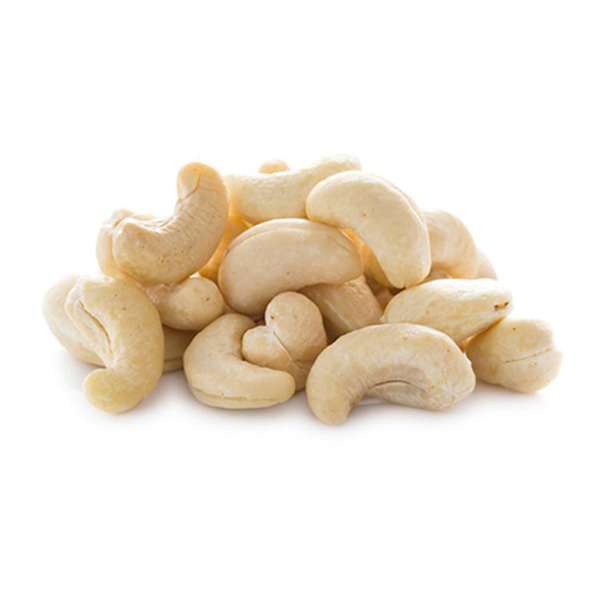 Cashews are also good in many essential vitamins such as pantothenic acid (vitamin B5), pyridoxine (vitamin B-6), riboflavin, and thiamin (vitamin B-1). Made from toasted cashew nuts with a little added cold-pressed sunflower oil, no added salt. Delicious as a bread spread, in sauces, dressings, nut-milk, dips and baking. packed with soluble dietary fibre. rich in “heart-friendly” monounsaturated fatty acid. abundant sources of essential minerals - manganese, potassium, copper, iron, magnesium, zinc, and selenium. Organic cashew nuts 95% - organic cold pressed sunflower oil. Natural nutritious oil may separate on the surface, just stir back in. 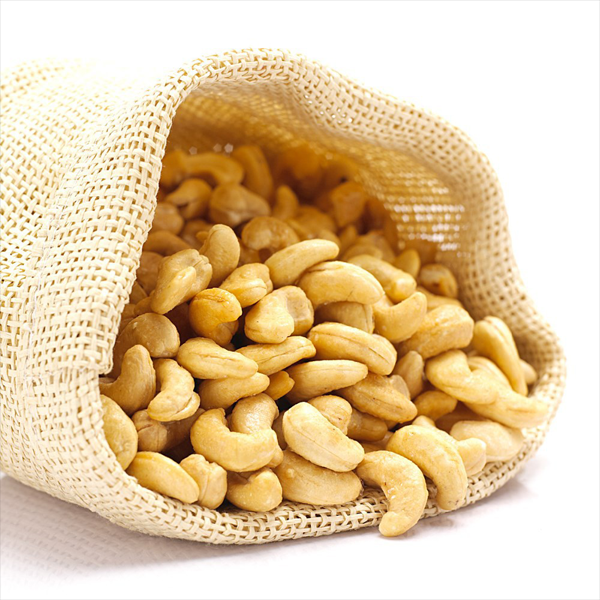 Organic cashew nuts can naturally contain crop fragments etc. We check and remove, but cannot guarantee to have found every piece.